Deep Healing, Calm, Self-love, Love & Romance, Abundance and more. Simply click on the image below of the Essence that you feel could be right for you to find more detailed information and purchasing details. This is the essence that I personally think is very powerful. I truly feel that I have been angelically pushed, prompted and guided to find the most powerful combination of healing energies possible in this blend, using ten key ingredients, to assist healing on all levels. ♥ CLICK HERE for more detailed information and and purchasing details. You will also discover a comprehensive list of the ingredients in this powerful and unique blend, and the reasons for selecting them – as every one of them brings its own particular meaning and importance to this relaxing and fragrant essence. Created with the aim of attracting love & romance, and promoting self-love too, encompassing a peaceful happy heart. Every part of this blend has been carefully selected by Mary with angelic guidance, to encompass all that is truly believed to promote and attract love in all its truest and purest forms. Where you can also discover the list of ingredients in this unique blend, and the reasons for selecting them – as each one of them brings its own particular meaning and magic to this beautifully fragrant essence. 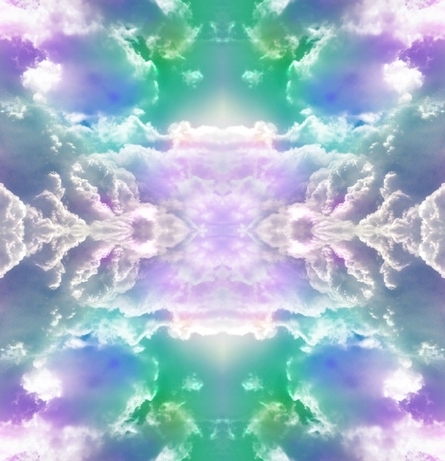 Inspired by Archangel Ariel and further guided by the 7 Angels of abundance, I believe that I have chosen and blended 7 essential ingredients to create the most powerful and unique essence to attract prosperity into our lives. The essence is made more powerful by the inclusion of citrine crystal – the stone of wealth and prosperity. We all get times when we are stressed, anxious, worried or even panicky when under pressure. This essential oil blend has been created with the aim of promoting a calm mind and a peaceful heart & soul. All ingredients have been carefully researched and added for their calming and soothing qualities. What part of the world would you like the Essencesmailed to? Essential oils may cause skin sensitivity in some individuals (we are all different!). It is generally advised that you do not use any essential oils if pregnant or breast feeding. Although some of the ingredients included in some of our essences have been favourably mentioned in a Cancer Research STUDY we do not claim to be able to cure cancer or to stop it from developing. 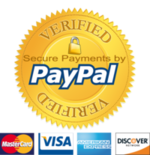 Our essential oil blends, and the information provided about each one, are intended as a spiritual support and are not a replacement for any medical prescription or treatment. If you are unwell, or undergoing medical treatment, you should always consult your medical practitioner before using any essential oils. You should avoid placing essential oil blends directly on to fabrics. 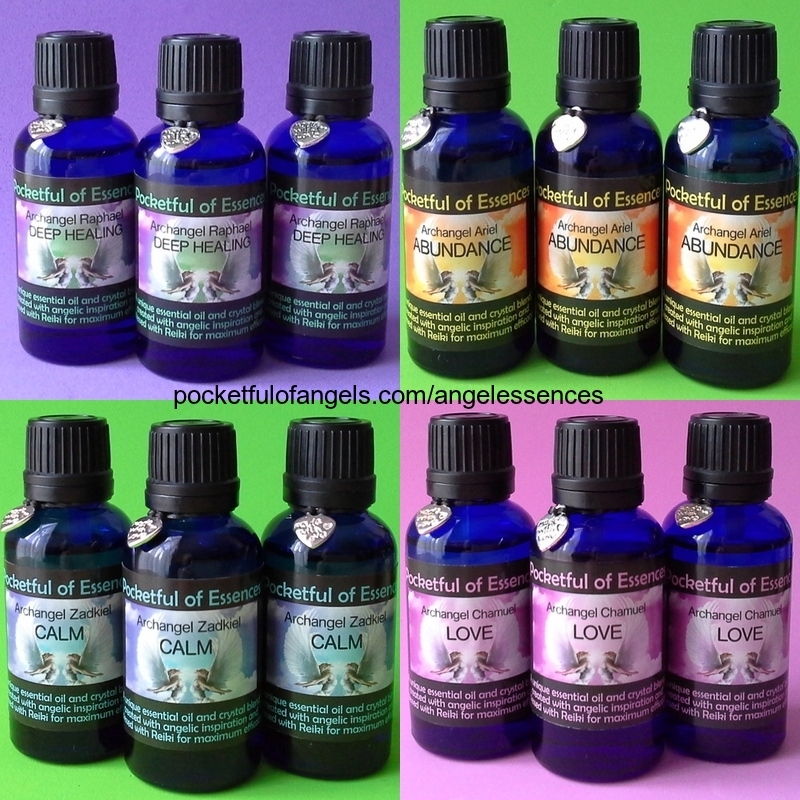 The 'Pocketful of Essences' unique Angel Essences/Blends are © Mary Jac 2014. The essence labels and logos were created by Matt Mills, from GEKO CREATIVE exclusively for, and are © to Mary Jac.